Mike Kharkrang has been partnering with the dental community for over 18 years, 12 of those established with Precision. 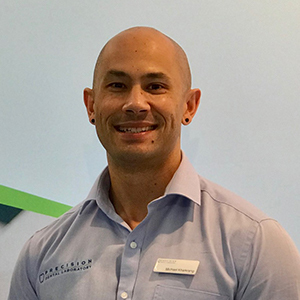 Mike graduated as a Dental Technician, having trained and registered in New Zealand in 2000 and has since added a Bachelor of Science from the University of Otago, NZ. Mike has a keen interest in all things health and fitness, leading edge technologies and spending quality time with his two fun loving daughters and family. Working with the strong ethos that Precision represents, Mike emanates the values of passion, quality and service. These local principles are the foothold on which Precision prides itself, and how their highly knowledgeable and friendly team of technicians treat their customer needs and patients. Buba Adamcevska has a real passion for dentistry, believing in the power of a healthy smile. She refers to good oral health as a “priceless” antic and its affects on your overall wellbeing. 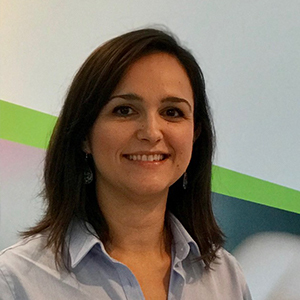 Buba graduated from dentistry overseas in Yugoslavia in 2003 and gained her Australian and New Zealand registration in 2006, respectively. She has been working with Precision for over 5 years and has the highest regard for her teammates, who have over 35 years of experience in the NZ field of dentistry. One of Buba’s proudest achievements throughout her life has been moving to what she calls an “amazing country full of possibility and good people”, New Zealand and her family of four. She enjoys reading a good book, watching a good flick and spending time with her family and friends over the weekends. Buba above all else believes in quality work, exceptional service and just good old fashioned people who love to work with their local dentists, providing them what they need for their patients.